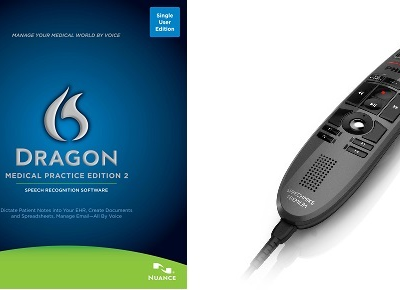 Dragon Medical Practice Edition 2 French - Talk2Me.com | Professional digital dictation and speech recognition solutions. 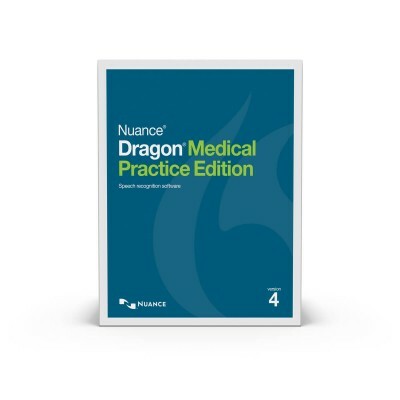 Through the delivery of Dragon® Medical Practice Edition 2 French, Nuance helps the thousands of French-speaking practicing clinicians across Canada conveniently and efficiently create medical notes by speaking. 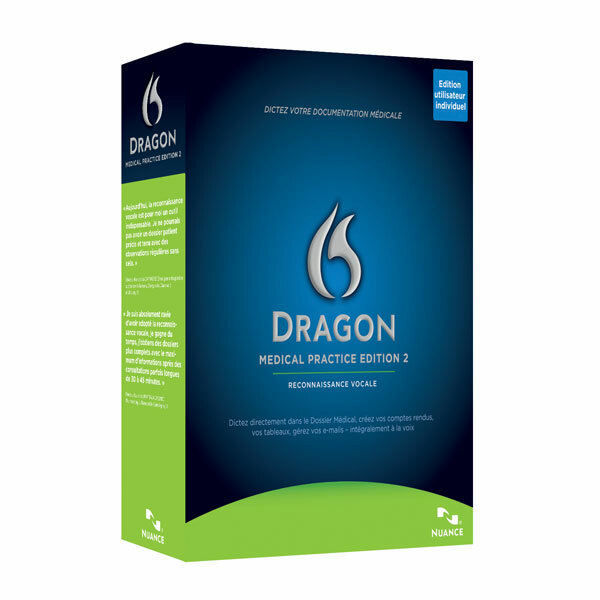 Dragon® Medical Practice Edition 2 French offers new commands to facilitate and accelerate the workflow process. While acting on multiple mouse clicks and keystrokes, these commands allow clinicians to open applications, windows, switching from one window to another, sending e-mails or Internet research. 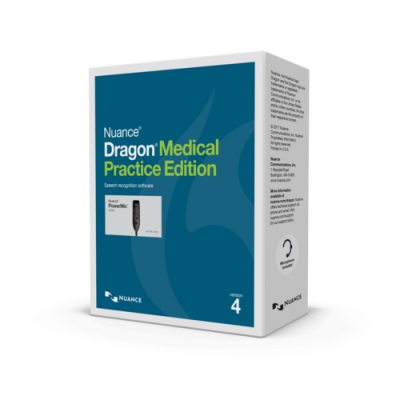 Compared to the previous version, Dragon Medical Practice Edition 2 audio resolution and accuracy have been improved by 22%. A real benefit especially for non-native speakers and will get excellent results from the first use. 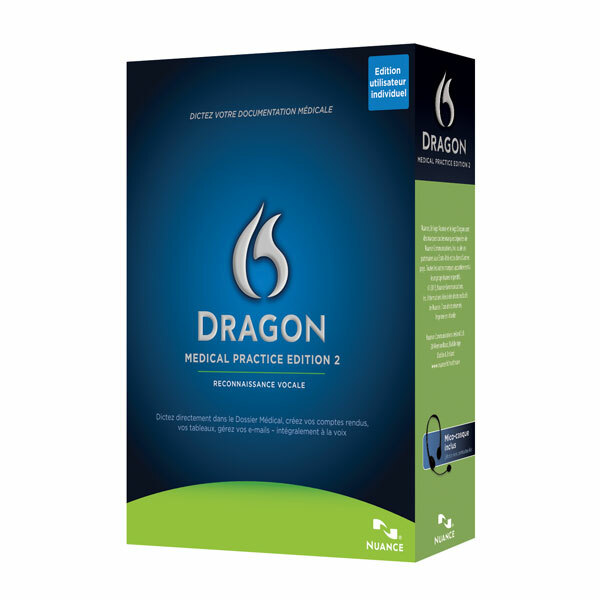 And since Dragon speech recognition technology adapts to your specific voice, Dragon Medical Practice Edition 2 French becomes more accustomed to your voice the more you work with it. 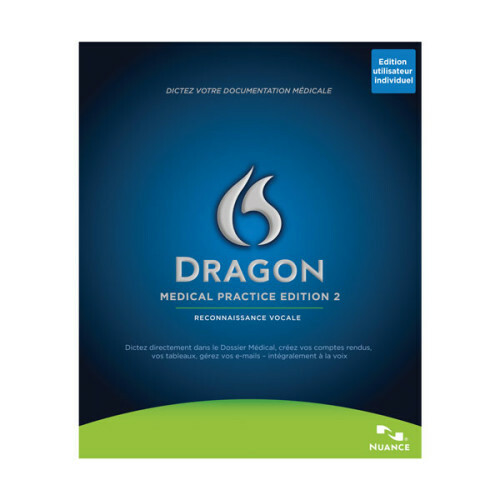 Dragon Medical Practice Edition 2 French contains a general medicine and radiology vocabulary, giving clinicians access to the language they need to complete the job. In addition, clinicians can take advantage of the customizable commands, such as Voice Shortcuts and Dragon Templates. These features are available to help clinicians streamline the creation of care-critical documentation. With real-time, voice-driven documentation, clinicians capture the patient’s story without sacrificing time, making their workflow productive and efficient.